I´ve got a confession to make: I am the biggest floral embroidery addict right now. 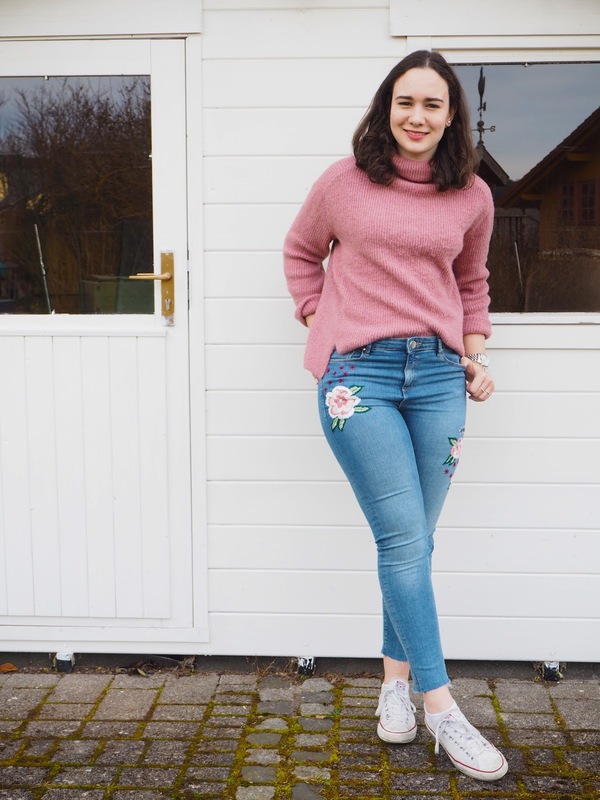 In this, this and this post, I already talked about my love for embroidery - floral in particular- but I´ve never showed you my favorite piece in action. 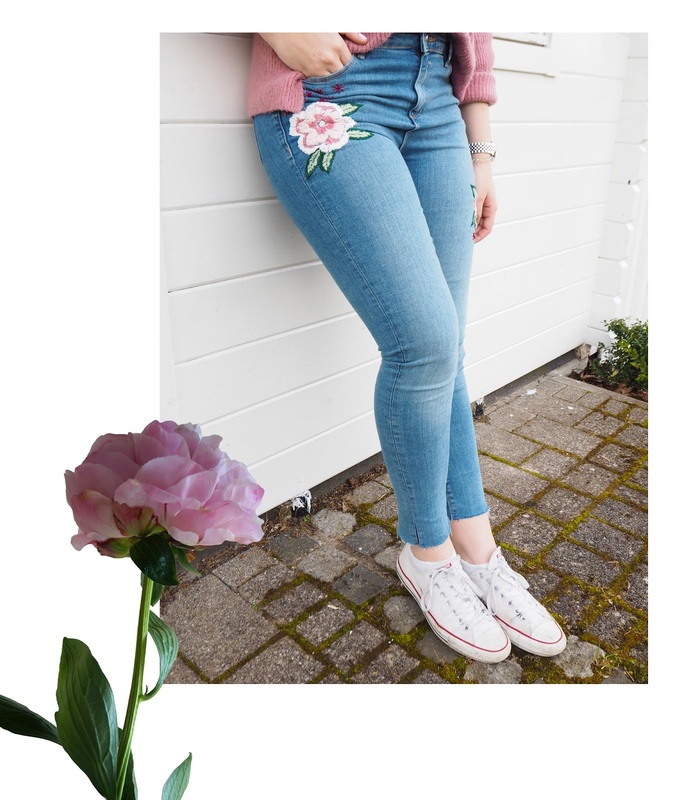 After discovering Tessa Perlow´s embroideries I just felt the urge to try it out myself and I set the goal of embroidering a pair of jeans- and so I did. 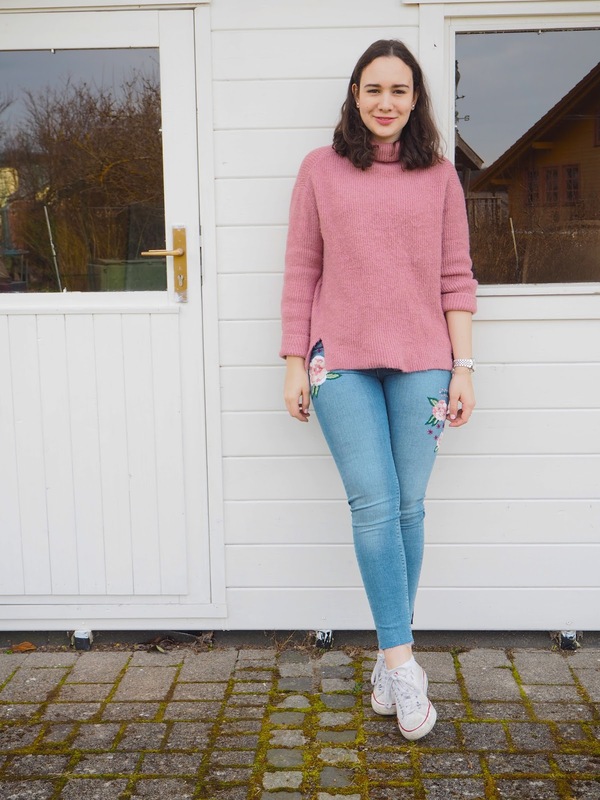 I´ve already worn these jeans loads in different combinations, but one that I still love the most is this one with my favorite turtleneck sweater in a gorgeous shade of blush pink and -of course- white sneakers. One might think, that a pair of embroidered jeans is not the most versatile piece in your closet and obviously, it doesn´t beat black skinny jeans, but since I kept the embroidery in pastel shades of light pink, red and green shades, it works really well with most of my closet and makes every basic outfit a little bit more special - exactly how I like it! P.S. Currently I am looking into adding some embroidery to a pair of white sneakers, because I absolutely adore the floral Gucci sneakers. When I am successful, I will defenitely let you know! I'm not a fan of the trend but in all your posts you made it look super beautiful! Loved the casual touch from the all stars in this girly outfit :) well done! I am really happy to hear, that I like the jeans, although you´re not a fan of the trend. Made my day! 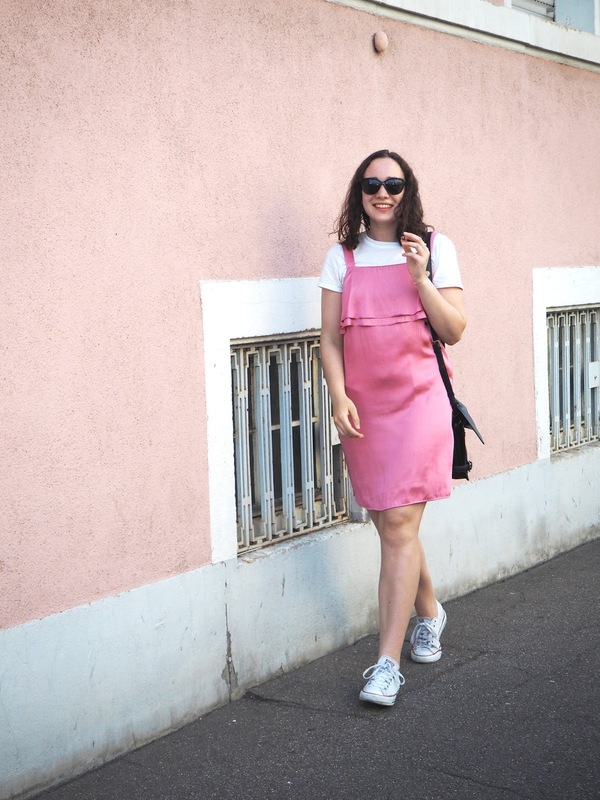 Schöner Look, steht dir sehr sehr gut!